Growing up in the south, I really didn't know why people wore vests. In south Georgia, you have two seasons...hot and cold...there's really not a fall. Spring coats (although I've owned many) are also weird in my home region. While I was in NYC I kept seeing people in vests and it dawned on me the weather is perfect for vests. It's too warm for a full coat, but a vest with some long sleeves will get you right. So now that I understand vest season, I can partake. 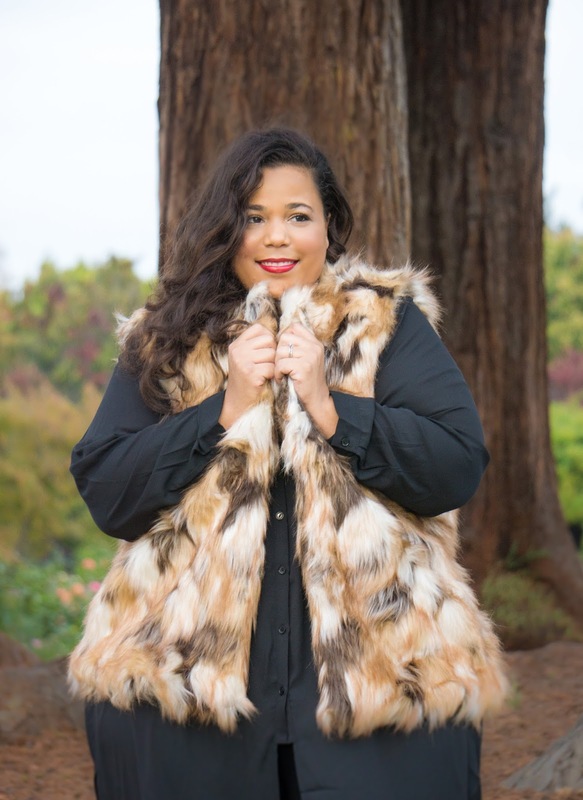 Bloomingdale's has some fabulous vest and I am dying over this faux fur vest. It's the perfect length and looks real (Yasss animal friendly fashion). 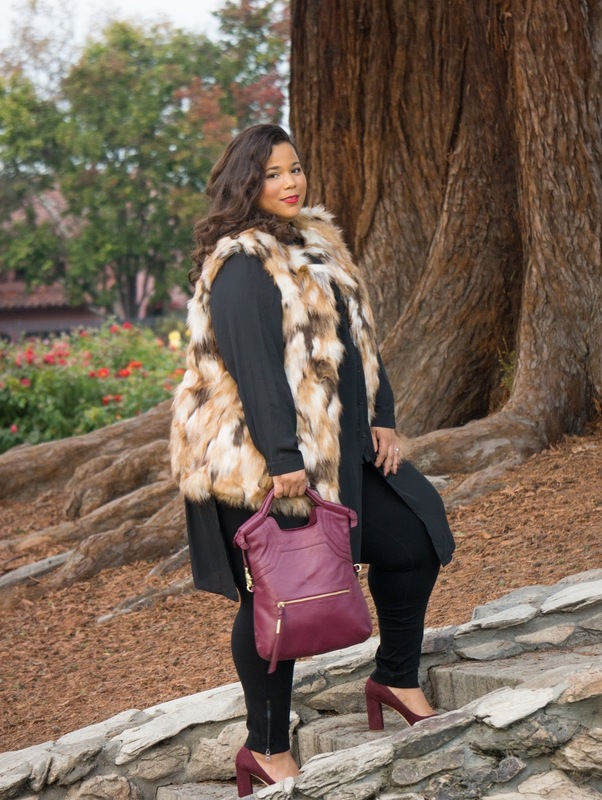 I think bordeaux is going to be my go-to color for the colder months and Bloomingdale's had some amazing outfit add-ons. 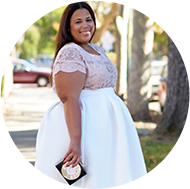 This top is City Chic via Bloomingdale's and it might be a new favorite in my wardrobe. I've realized as of late with me getting older that I just want clothes that are easy to wear and this top does that for me. 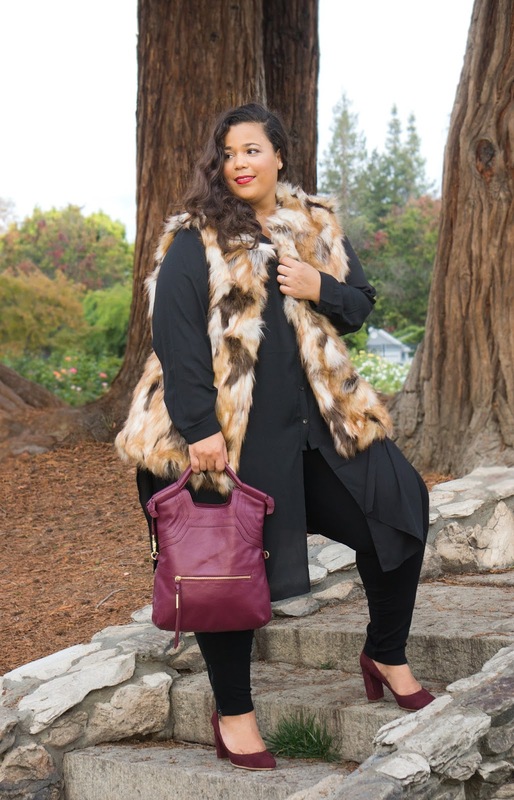 I completed this look with a pair of ponte leggings for a comfortable, yet chic look. Style Notes: All the items are from Bloomingdale's. I got the top in a size large. The vest is in a size 3x. 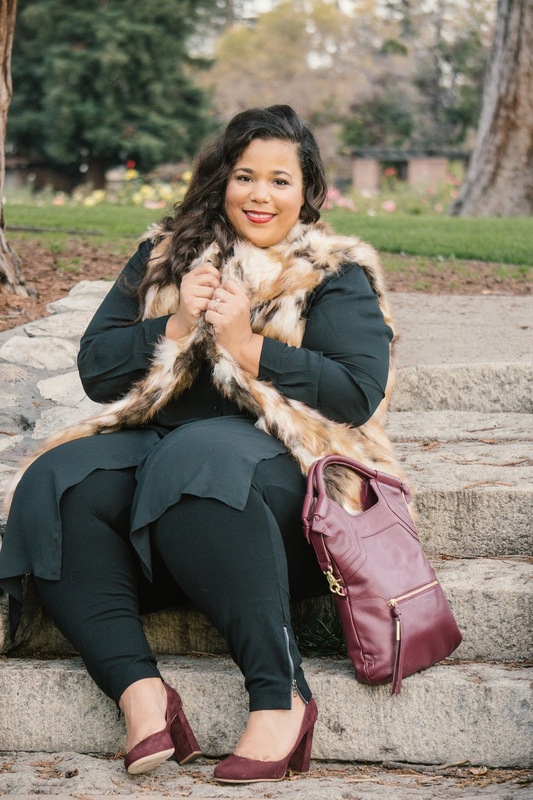 I know some may worry about the fullness of the vest and how it will compliment their body, but let me just say that faux fur is a bulky layer and you have to accept it for what it is. Just get ready to look luxurious and get your Joanne the Scammer on. HA! This post was sponsored by Bloomingdale's, all opinions are my own.